Want Free Access to Julia Nickson Pics & Clips? When opportunity knocks, Singapore-born skin slinger Julia Nickson-Soul answers the door ready to hop to as the desired Asian du jour. Since she appeared on a 1983 episode of Magnum, P.I., versatile Julia has portrayed any manner of almond-eyed nationals in features as diverse as Rambo: First Blood Part II (1985) and Harry's Hong Kong (1987) and even performed her flower-blossom best on the spaced-out TV series Babylon 5, on which viewers couldn't even be sure she was from this planet. Luckily, Julia has been generous with her jewels. 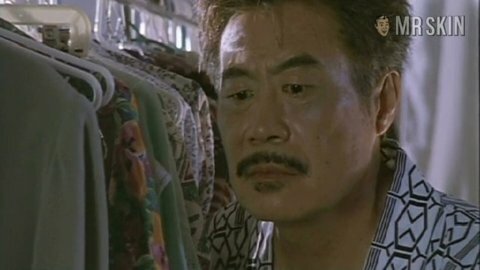 Her views to a thrill in Man Against the Mob: The Chinatown Murders (1989) and White Tiger (1995) make totally superfluous the question of her country of origin.